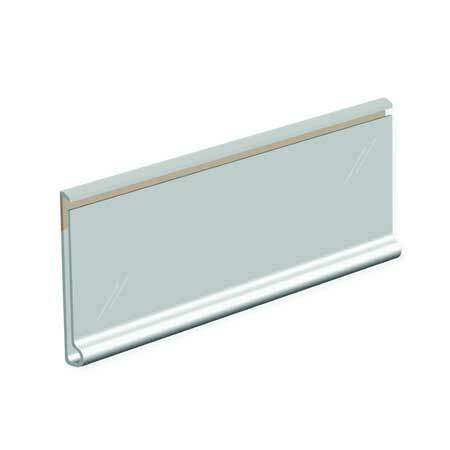 Self adhesive 1000mm length of Clear PVC shelf data strip 39mm deep. Ideal for fixing to smooth flat fronted shelves. Will stick to metal or wooden shelves.